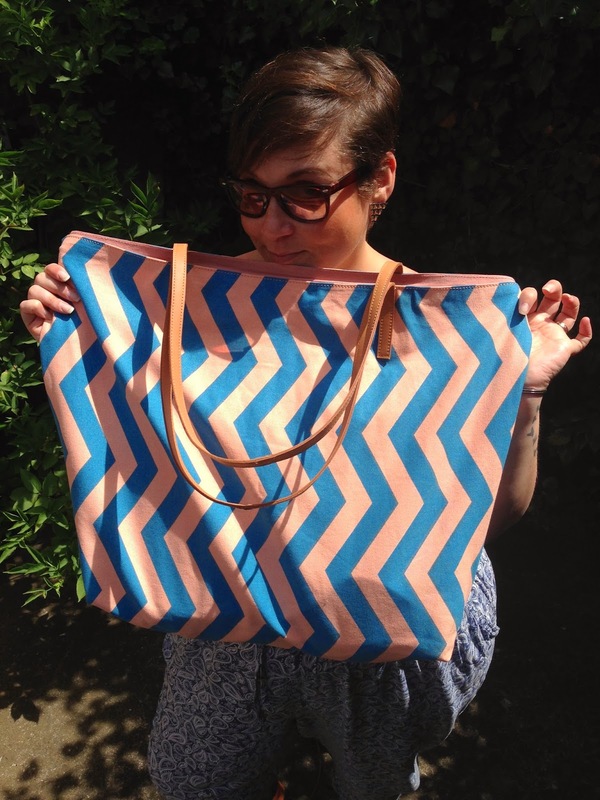 Oh it's blooming lovely out there and I'm one of those incredibly lucky (smug) people who live a ten minute drive from the beach, so when I was sent this gorgeous chevron beach bag from logonstyle.com I couldn't wait to put it to use and head on down to the beach. 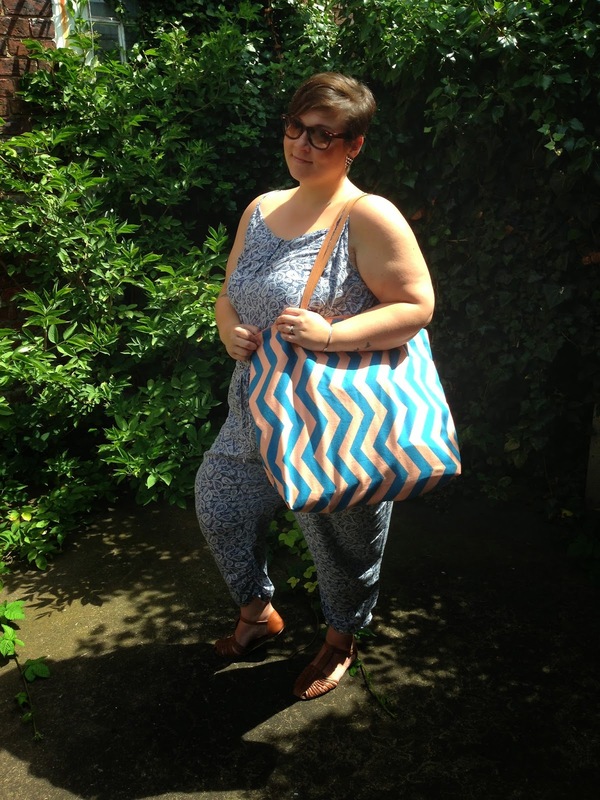 This bag is HUGE, and quite rightly so! For families you can fit everyones towels, sun cream, hats, water and the like in, no worries. It would be perfect for heading to the park for a bit of al fresco dining and work, you can pop your laptop in, some food, a blanket and other essentials. There's a couple of pockets to the inside, one for your mobile and a small one for purse and keys. The bag is fully lined and the straps are real leather. 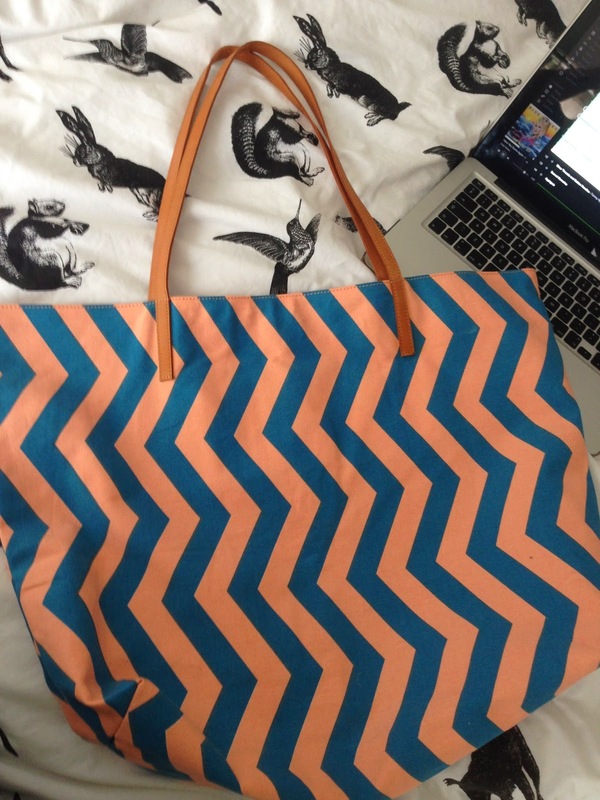 Not only am I going to use this for the beach, I can see it being a great uni bag too, especially when I have to take my laptop, books, folders and everything apart from the kitchen sink to lug around! Logonstyle.com has a great selection of bags, fashion and shoes. Why not have a look!